I thought it might be useful to aggregate some images of the eight dramatically scaled trees found in our search area in recent months. Some of the photos will be familiar, and some have not been posted before. 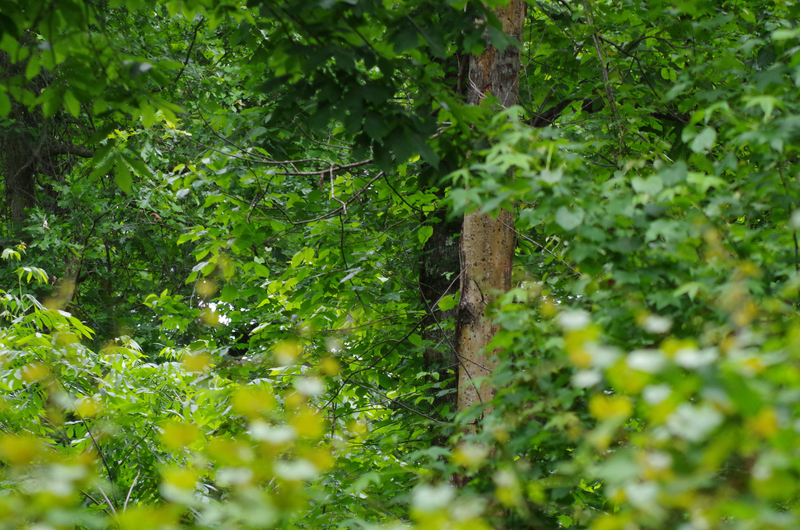 These trees were found between May 2013 and January 2014 in three distinct sectors of our search area. All were relatively recently scaled and most had easily visible, large insect exit tunnels, which were obvious at a distance. At least one tree was still barely alive when found. 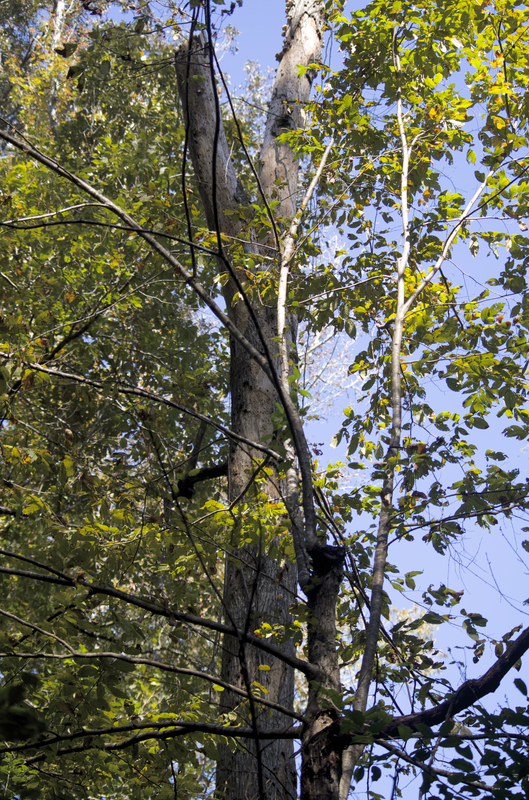 When possible, trees were examined, and bark surrounding at least some of the scaled areas was tight; on one of the longer dead snags, some of the bark remained moderately tight – very difficult to remove by hand – 7 months after the tree was found. It’s also worth reiterating that these are not the only examples of scaling we’ve found in the search area, just that this is all relatively fresh and very dramatic work. 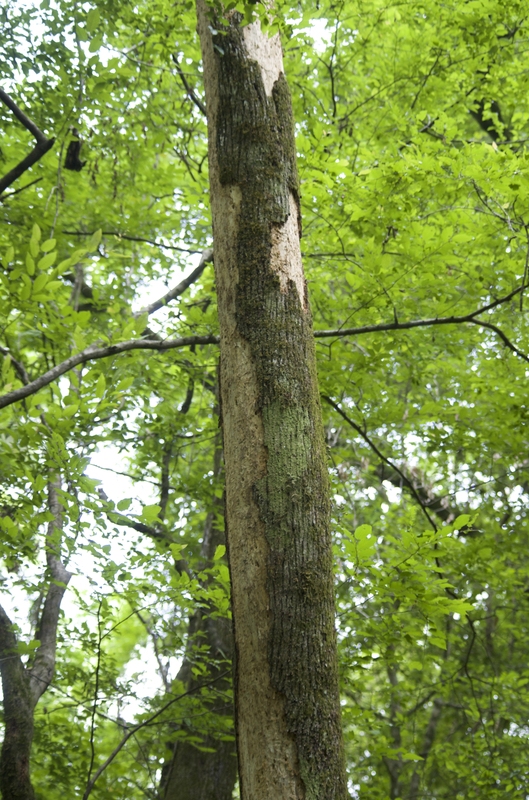 We have had more internal conversation about the identification of the hickory trees involved, and it appears they are Bitternut (Carya cordiformis) and/or Pignut Hickories (Carya glabra) based on habitat and bark. Hickories are very difficult to identify without leaves or nuts. Both of these species are described as being tight-barked in the literature. The scaled hickories have been found in areas logged in 1917, 1925, and 1932. It may be of some relevance that bitternuts are the shortest-lived hickories, with a lifespan of approximately 200 years. The oak was near the hickory in the area logged in 1917. The two Sweetgums were in areas logged in 1905 and 1915. 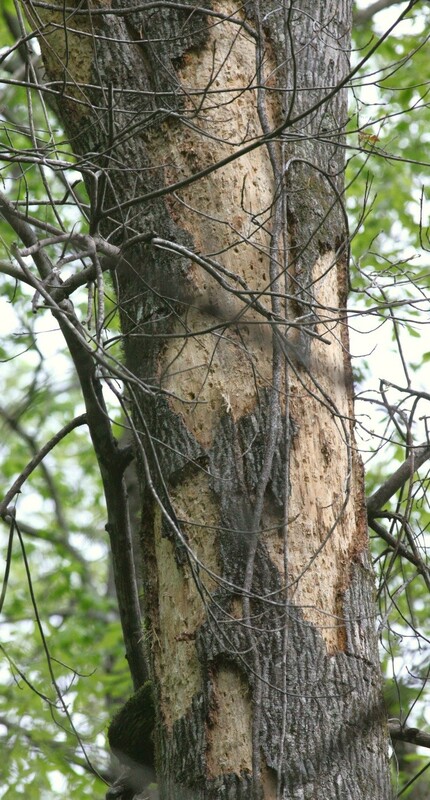 One additional item that may be worthy of note: we have found Hairy Woodpecker work on at least two of these freshly scaled trees but no clear indication that other species have fed on them. 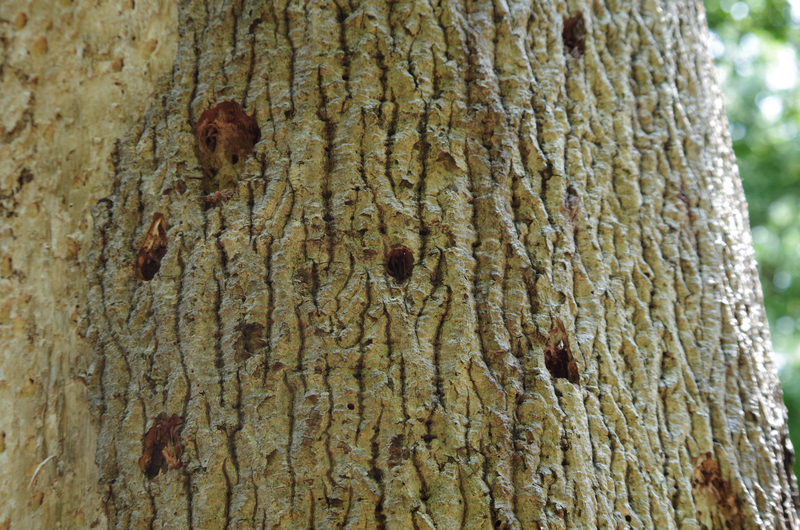 We have recorded Hairy Woodpeckers removing small patches of bark where beetle larvae are exiting. 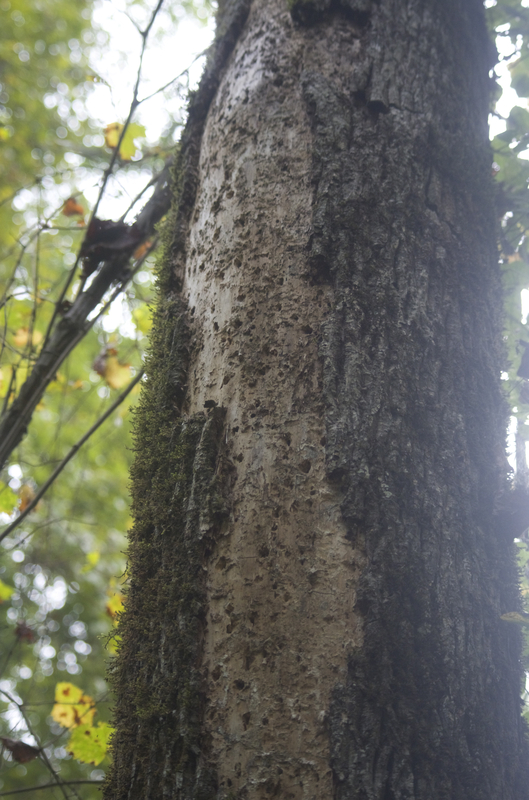 In our experience observing several suspected IBWO feeding trees, we’ve found that excavation by other woodpecker species typically does not begin for as much as six months and often more. Thus, we suspect that there may be an association between IBWOs and HAWOs in terms of feeding behavior. Hickory scaling (with click beetle) found by Frank Wiley, May 2013. 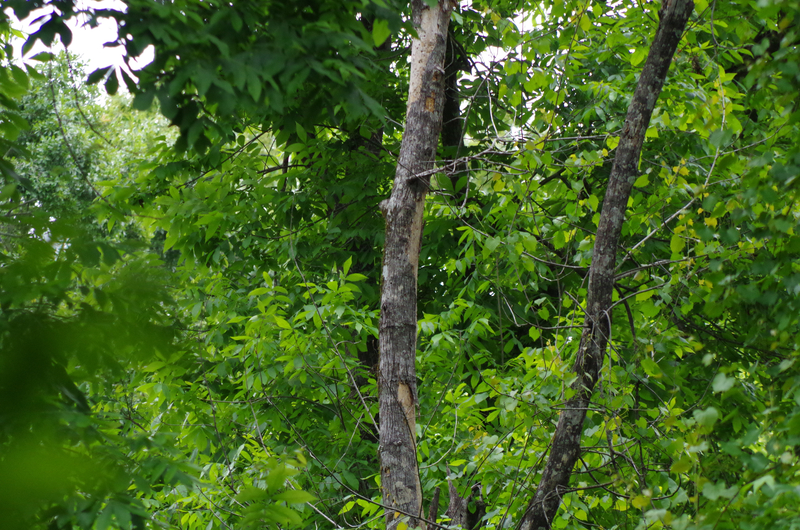 Presumed Hairy Woodpecker work on a hickory, May 2013. Identification based on Reconyx images of HAWOs foraging on hickories. Hickory Scaling Found by Mark Michaels, May 2013. 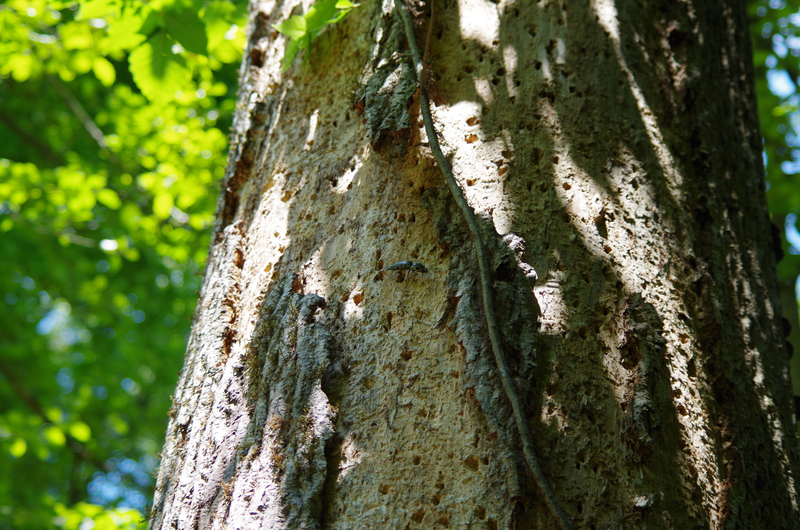 A month later, bark on an unscaled section of the tree could only be removed with a hatchet. Bark chips from Scaled Hickory, May 2013. Hickory Scaling found by Steve Pagans, May 2013. Photos by Steve Pagans. Hickory Scaling found by Mark Michaels and Steve Pagans, May 2013. Bole and upper part of snag. Hickory Scaling Found by Mark Michaels, October 2013. Oak scaling found by Mark Michaels, October 2013. 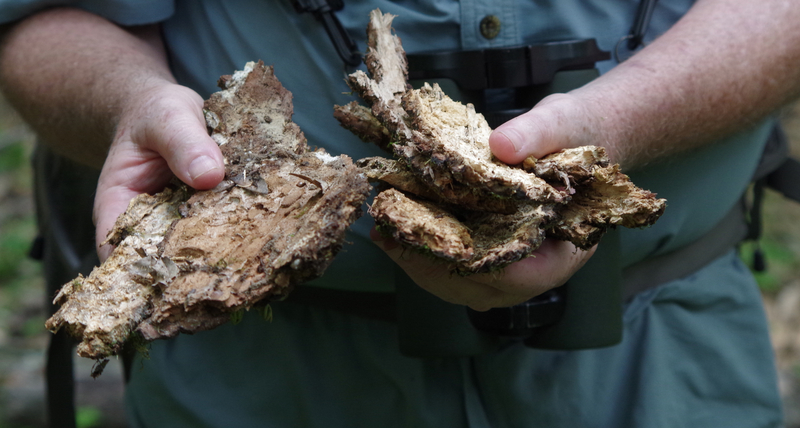 Sweetgum Scaling Found by Mark Michaels and Frank Wiley, late June 2013.